Tyler is a Pro Racer Supply accounts manager, and Sprint Car tech for Speedway Motors, as well as a sales member for EMI. Tyler was born into racing and has been working on sprint cars for the past 15 years. He spent some time on the road as a sprint car mechanic and currently enjoys his crew chief duties for the 35 of Trevor Grossenbacher on weekends. 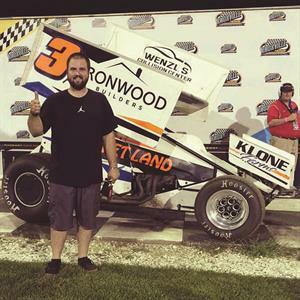 Tyler has been fortunate enough to be a part of some great race teams, reaching victory lane in all three winged sprint car classes, including a number of them coming at the famed Knoxville Raceway with Billy Alley. In 2015, Tyler was able to help prepare race cars that qualified for the A main of the 360 Knoxville Nationals, the 410 Knoxville Nationals, and the Racesaver 305 Nationals. When Tyler isn’t at the race track working, he enjoys being at the track watching, as an avid race fan of all types. Tyler Perry explains the differences between Weld Racing wheels and Sander Engineering wheels.